Merry Christmas/Happy Hanukkah/Merry day of eating/getting gifts/and baking! I actually made these a few days ago but decided to save their posting for a later time and one of our readers suggested that these baked goods go up next! Although the previous post on gingersnap palmiers was my mom and my favorite recipe of the year, these pecan logs have been on the top of my brother’s list and the recipe was requested from a few friends that got to taste them as well. So from my blog world to your kitchen, here’s a little Christmas gift! The original recipe was again from my go-to-holiday Martha Stewart’s Cookies book but I adapted it quite a bit. I thought the original didn’t have enough sugar in it – leaving it more of a nutty short bread than the cinnamony, sugary concoction you see here. In addition to adding some holiday spice into the dough itself, I also spiced up the nutty coating with a sugar and cinnamon mixture (much like snickerdoodles) and the woody, fragrant flavors of the toasted pecans melded beautifully with the sweetness that I added. 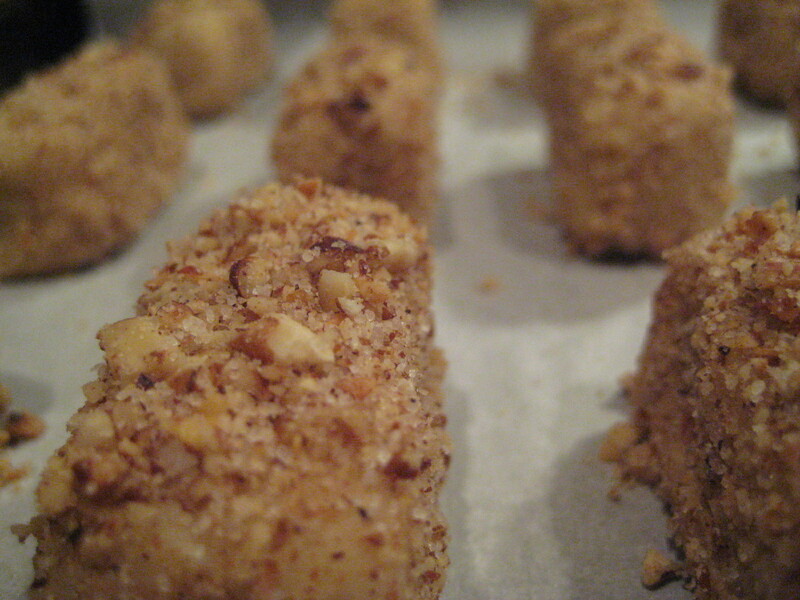 These logs break apart into a crumbly goodness into your mouth and they’re fabulously delicious. 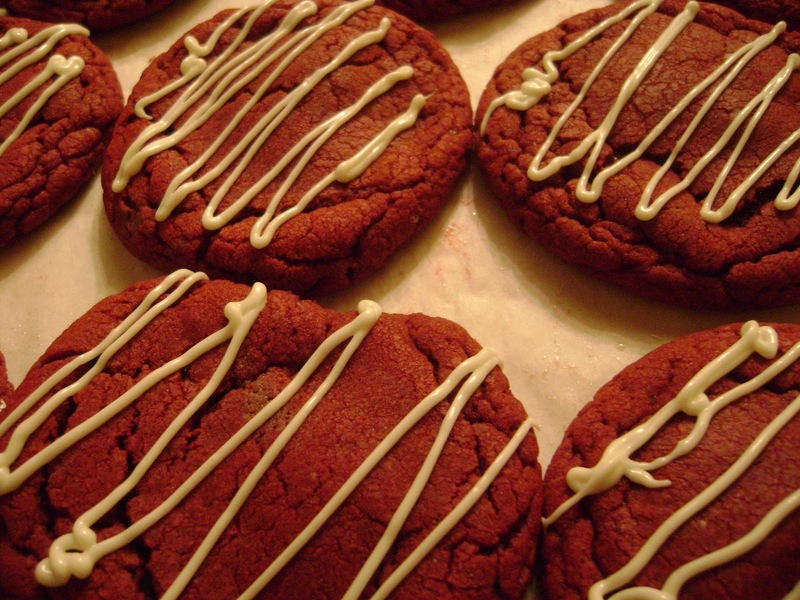 Absolutely perfect for Christmas or rather, any other time where a cookie is needed. Enjoy these logs by the fireplace! or perhaps, paired with a yule log? Log themed dessert platter? Alright, that’s enough of the log jokes. In a separate bowl, mix flour, baking powder, salt and 1 teaspoon of the cinnamon in a bowl. If you’re like me, you can go heavy handed on the cinnamon for an even greater kick. This is the part that I adapted so the cinnamon is also optional. In yet another bowl, mix the butter and confectioners’ sugar until pale and fluffy. Add the eggs and vanilla until well combined. Add in your dry ingredient mixtures and half of the ground pecans and wrap the dough in plastic and refrigerate until cold, about 30 minutes. Preheat your oven to 350F and roll out your dough into log shaped little cookies. The original recipe said about 1 tablespoon per log but honestly, I eyeballed it until they were about the size that I desired. Now, here is the other adapted part that is optional. I added in a tablespoon of sugar and another teaspoon of cinnamon into the remaining ground pecans. Then, mix this new nutty, sugary concoction and generously roll your logs around in them. You can even press the nuts into the log a bit and go for a second roll. Place on parchment paper lined baking sheets and bake about 1 inch apart (they don’t spread much at all). Bake until pale golden about 14-15 minutes. Let cool and then eat up! They were a huge hit this year! Enjoy! I’m dreaming of a gingery, buttery Christmas. No school, no stress, all baking. Okay guys – if anyone is in my predicament, it’s been a few days into the holiday season and there are cookies everywhere I look. I curse myself as I shove flavor after flavor of flaky goodness into my mouth and then I realize that most of the stuff I’m putting down my throat is cookies that I’ve made – which is why I more or less have to give them away…immediately. 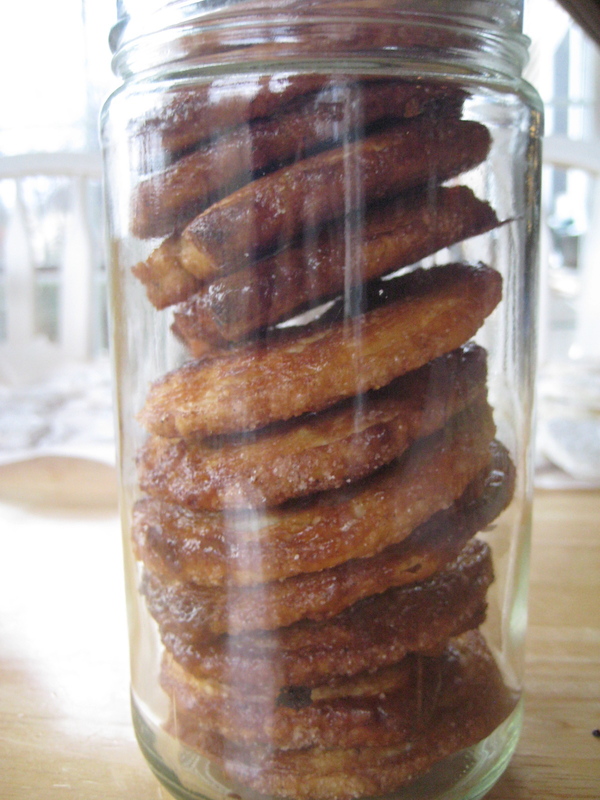 These gingersnap palmiers has been an absolute holiday FAVORITE this year. These beautiful cookies are made with puff pastry layered with a mix of gingerbread like ingredients carefully melted into a molasses syrup and a sugar dusting. 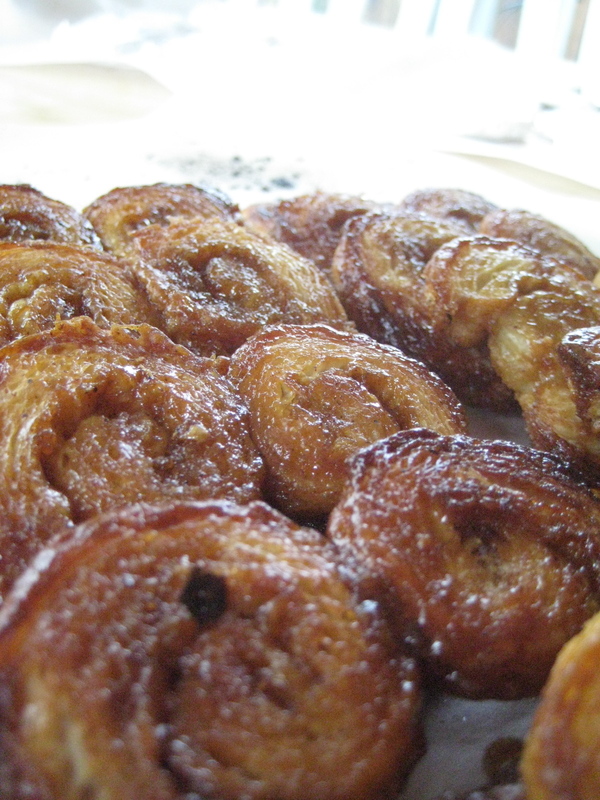 When they bake – they wallow in bubbling goo and beg to be brushed with more syrup. And the best part? They’re made with a little bit of fresh ginger – and the hint of ginger root is not at all overpowering. It’s subtle, spicy, warm, and everything the holidays embody. Every bite makes you want to just close your eyes and get lost in the flavors. They’re crispy, they’re crunchy, they’re abso-freaking-shove-in-your-mouth-worthy. Even better? They’re a creative change from the usual sugar and short bread assortment of the season (don’t worry, there will be a post of those too). I’ve heard a few of you are making these recipes – you guys gotta try this one out! Fair warning: there is a good amount of time that these guys have to sit in the freezer so they are a good prep now and bake later treat. They’re a little more challenging technically than the other posts but man, are they worth it. Happy Holidays to all of you wonderful readers!! More to come! Mix all of the ingredients for the molasses together in a small saucepan and bring to a simmer, whisking until the sugar has dissolved. Let the goo slightly thicken and let the flavors of ginger and christmas waft through your kitchen for 1-2 more minutes and then let cool. While your goo is cooling, mix the ingredients for your sugar mixture in another bowl. Time to start on the dough! It’s very important that your puff pastry is fully thawed. If not, it will crack at the seams and you will be unable to roll these guys into their characteristic buttery-fly (ha!) shape. I did the whole assembly process on a sheet of saran wrap – I found that it was the easiest method. Take a generous amount of your sugar mixture and spread it around the saran wrap to about the size of your first 10X7 inch thawed puff pastry. Then, put your puff pastry onto this sugar and slightly press the sugar into your pastry with a rolling pin. Next, brush a thick layer of molasses syrup onto the non-sugared side of your pastry which should now be facing you. Then, using that syrup like a glue, sprinkle another generous amount of sugar. Set your sugar mixture aside and cover your syrup as well. Don’t toss it! To make the palmier shapes, start rolling lengthwise on each side of your pastry and meet in the middle. Seal the middle with some more syrup. Now, here is why working with saran wrap works well. The leftover sugar that you didn’t get onto the outside will still be on the saran wrap. Just wrap your roll of palmier with this saran wrap tightly and pop it into the freezer for at least 3 hours or overnight – ensuring maximum sugar contact! Repeat for your 2nd sheet! Now that your rolls are hardened, preheat your oven to 425F and take your saran wrapped palmiers out of the freezer and cut with seal side down into 1/2 inch pieces. You should get about 3 dozen out of your two rolls. Roll each of your little guys in the sugar and place 2 inches apart on a baking sheet lined with parchment paper. Flatten with the palms of your hands a little bit so they spread out. Pop them into the oven for 8 minutes. They’ll be bubbly and delicious! Take them out and reduce to 400F. While they are out and sitting, brush the side that is not on the baking sheet with syrup and flip your cookies. Back into the oven for 8 more minutes and then let them cook completely. The syrup will harden up like candy as it cools and they’ll get this glaze that will make you want to lick it off right then and there and burn off your tongue, but don’t do it – not recommended. ^^ adorable gift idea – pack in jars and tie with a festive ribbon! I’m definitely doubling the recipe next year…oor….tomorrow. When all through the house, all the spatulas were stirring – even the whisk. 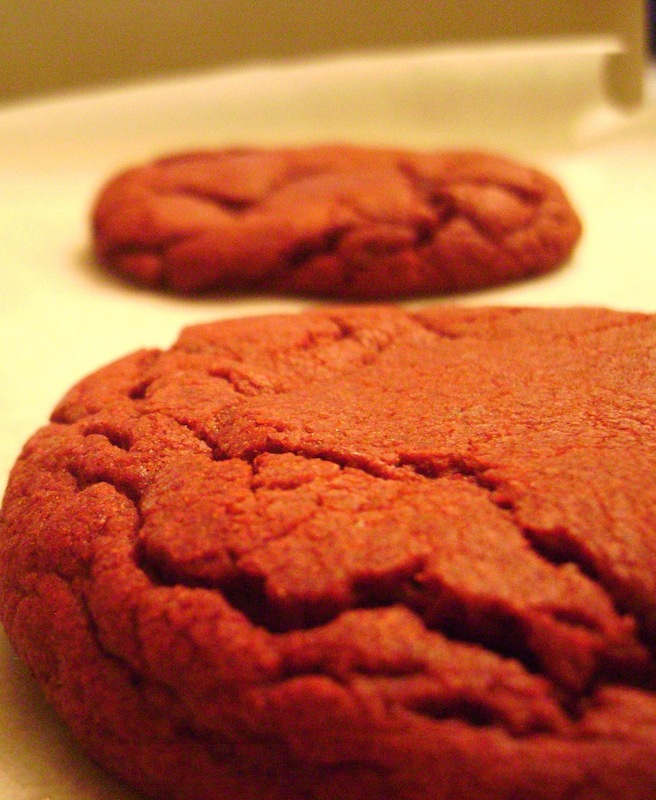 In hopes that delicious red velvet cookies – would soon be there. The cream cheese frosting was nestled all snug in its dough…. Had settled my brains for a pre-exam bake. 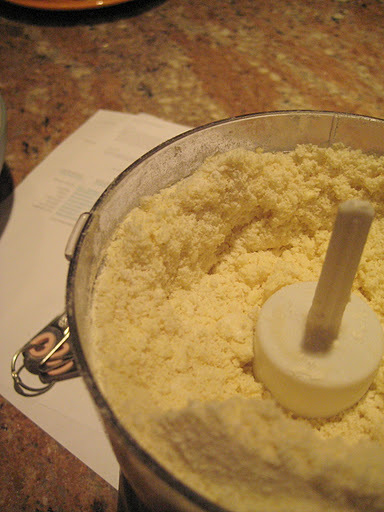 Whisk together the flour and cake mix until there are no more lumps. Then add in the eggs, oil, and vanilla extract. Cover the dough with saran wrap and refrigerate for at least one hour. Onto the filling! Mix all three ingredients together until well combined then partition out into ~1/2 teaspoon measurements OR do my technique. I scooped out millions of little balls with a melon baller (soooo adorable) and then split them into two later. 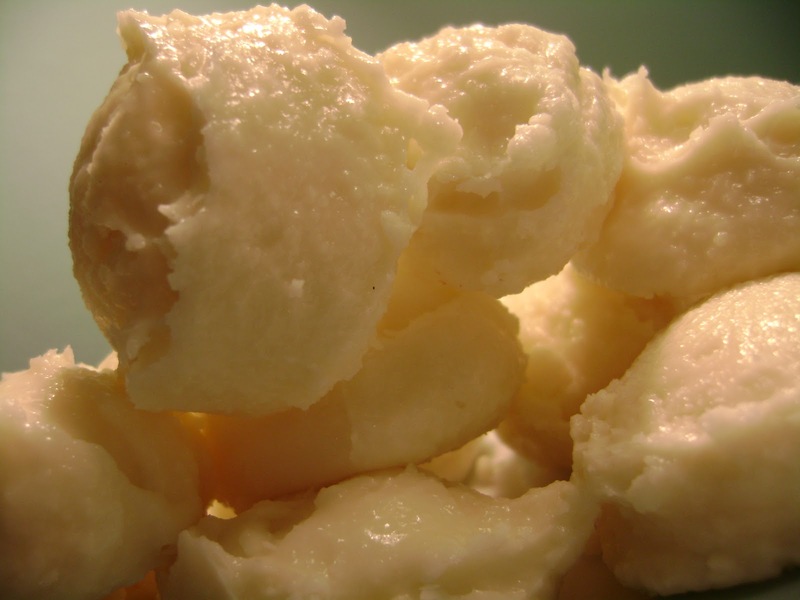 Either way – be it by teaspoon or melon baller, freeze for at least one hour. Place these little guys with plenty of room to spare. It would be smart to do a tester batch to see how much yours will spread in your oven, humidity, and general working conditions. Bake them on parchment paper lined sheets for 10 minutes exactly for perfectly soft cookies or a bit more for crispy.I found that 10 minutes resulted in the most ideal, ideal, ideal cookie. Once out, take them off the baking pan and let cool before drizzling. For the white chocolate drizzle, temper the bar as per previous post and drizzle away! You can use a fork or make a pastry bag out of the corner of a ziploc bag. The perfect holiday cookie!!! Enjoy! It’s absolutely fantastic! Never heard of them before? Well you aren’t alone. 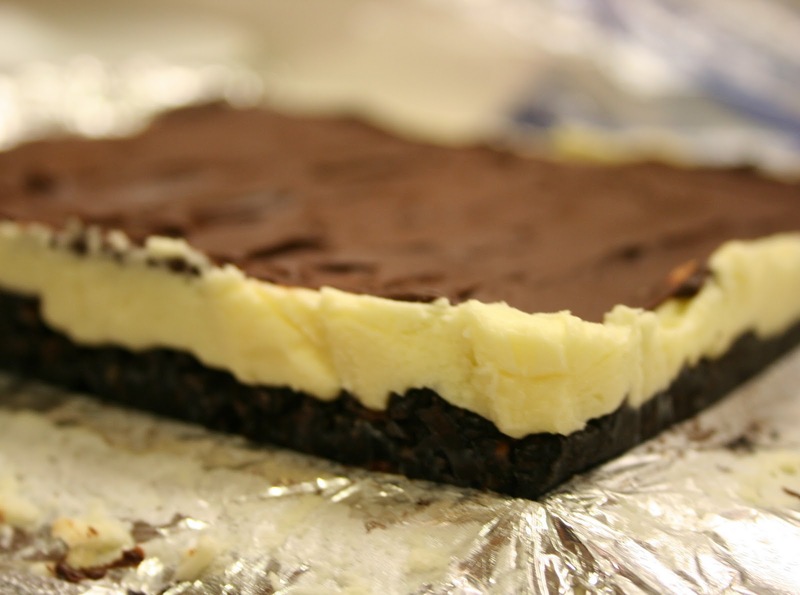 Named after a city in British Columbia (click for pronunciation…thanks Merriam Webster), the Nanaimo Bar is a popular Canadian cookie shrouded in mystery. These triple layer bar cookies were fabled to have first surfaced in the 1950s when a Nanaimo housewife entered the recipe in a magazine contest. However, the magazine was never identified and to complicate things further, the bars have been known to masquerade under other such names as New York Bars, or London Smog Bars. 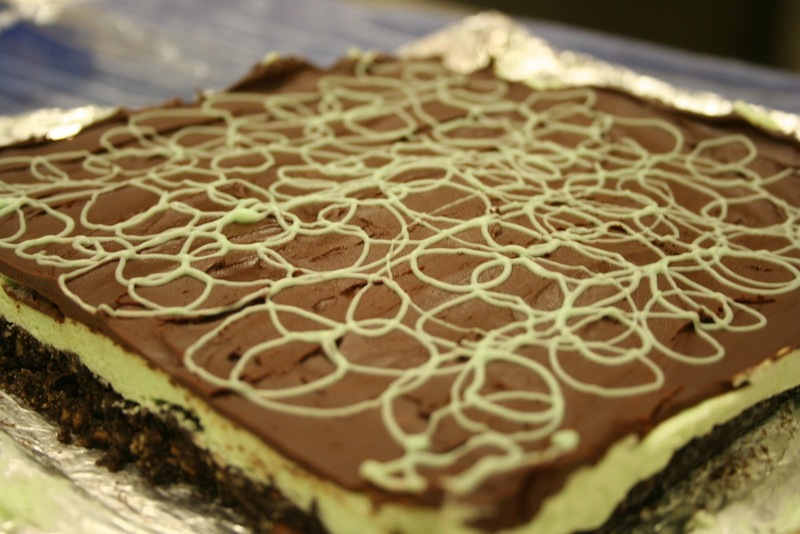 Whatever the case, we are happy to have found the Nanaimo Bar and his festive cousin, the Mint Nanaimo Bar, to share with you (Look Holiday colors!!!)! 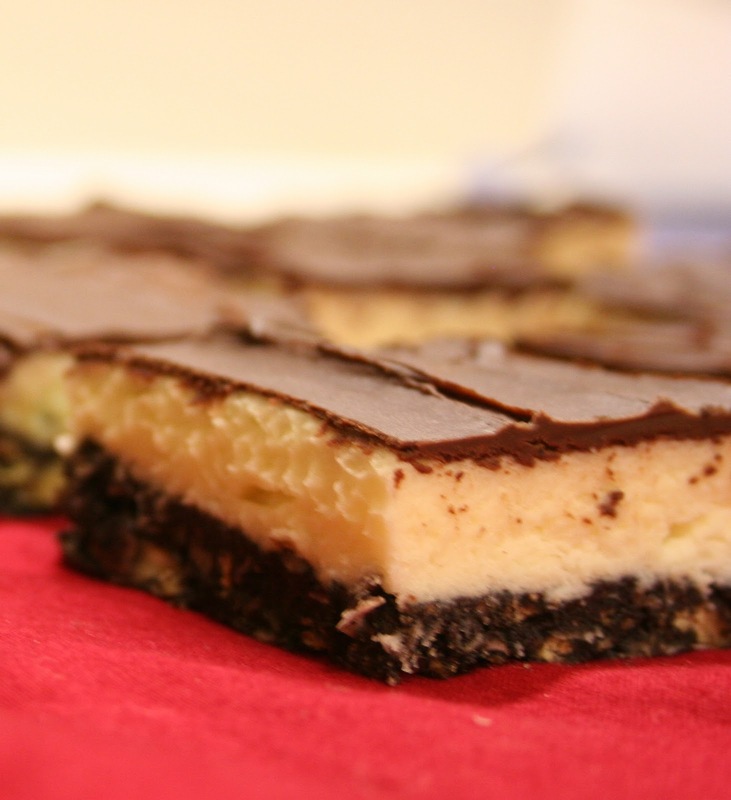 Based on the recipe from Nanaimo’s Visitor Bureau – a recipe which won the Ultimate Nanaimo Bar recipe contest held in none other than Nanaimo, BC. Put the mixture back on the double boiler and continuously whisk until it thickens. Take it off the heat (for the last time!) and stir in the vanilla. Add in the crumbs, coconut, and nuts. Line an 8″ x 8″ pan with foil and spray it with baking spray to prevent sticking. Press the mixture into an even layer in the prepared pan. Cover it with plastic wrap and chill in the refrigerator for about an hour, so that when you spread the middle layer on, it won’t crumble. Cream butter until smooth. Add vanilla, 2 tablespoons cream, pudding powder, and sugar. (Don’t forget the mint ingredients if you’re going to be festive). Beat this all together until it gets light and like beautiful cake frosting. Add more cream to get the perfect spreadable consistency. Get the crust out of the refrigerator and spread the buttercream over it. Return to the refrigerator and chill for another hour. Melt the chocolate and butter in the double boiler. Pour it over the second layer and spread it with the back of a spoon or a knife. Put the pan back in the refrigerator for about 30 minutes for the chocolate to set. After those last 30 minutes of chilling are finally up, take the pan out of the refrigerator and lift the foil out of the pan and onto a cutting board. Trim off the ragged edges (about half an inch – but for God sake don’t throw them away – we recommend eating them, more or less immediately) and cut into squares with a sharp knife, wiping the knife clean between cuts…And behold! 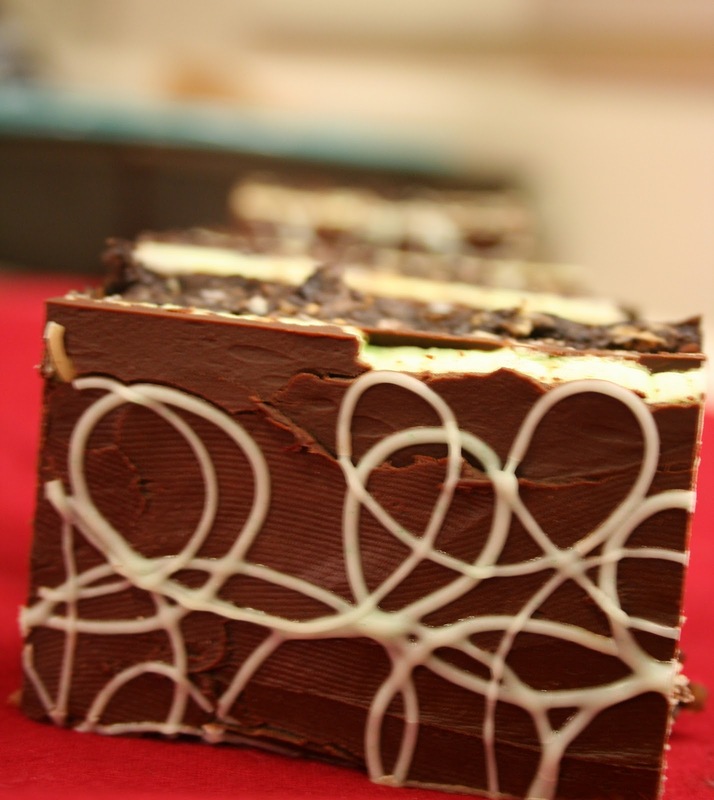 The Legendary Nanaimo Bar! I apologize for another pie entry but this past week was Thanksgiving – the holiday of all holidays for pies! I mean, being thankful and gluttony (pies). So Elyse and I split up into our respective homes and starting baking away. In light of the results of Elyse’s crust-off below – I also used a butter based crust from the diva herself: Martha Stewart (I choose to overlook her jail bird period). For those of you that wonder what “corn meal” consistency should look like when cutting butter into flour, there she is. There is something so rustic about making pie crust. Given the spirits of the holidays, I already had a pumpkin pie sitting on the table, Elyse had the pecan down, so clearly fruit was left! Hello you glistening beauties. I definitely spent a good amount of time running my hands over these babies and smiling at their untarnished very berry silhouettes. What’s that? you want to go a little closer? Are you dying yet? I certainly was. Dying. Butter crust? Gosh the flakiness practically jumps off into my mouth – no fork needed. mmm MMMM mmm. I am thankful for cameras, ovens, perfect berries, and chilled butter. Bake on a baking sheet (fruit will spill over with cooking) to avoid mess in bottom of the oven for about 1 hour – 1 hour and 10 minutes. I also covered my edges with tin foil for fear that the edges would burn prematurely, it’s usually a good idea if your pie is going to be baking for more than hour. Cool before serving and while you’re cooling, might as well go get some ICE CREAM! mmmMM this pie is scrumptious a la mode!